parking | Why you drive bad?! 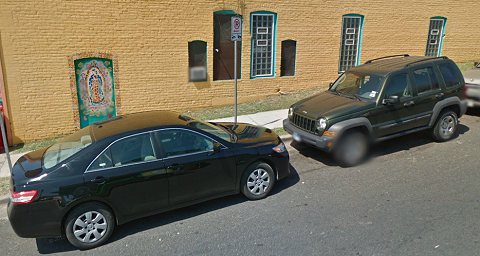 It’s such a problem that Google even caught it on Street View! It doesn’t matter how much signage or how thick the lines are, someone will think the parking lane is valid to drive in. 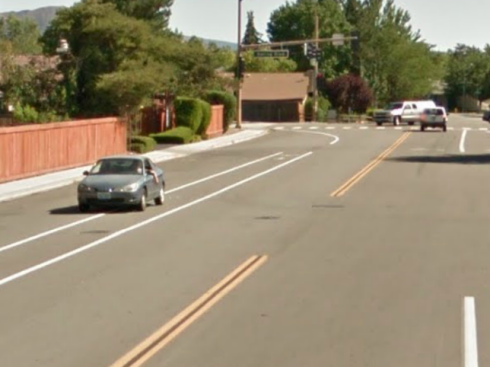 It’s acceptable to use the parking lane to overtake a car that’s stopped to make a left turn (if it’s clear), but it’s not cool to be driving there. What if someone is riding their bike or pulling out from a side street with an obstructed view? Yeah, that’s real smart. Don’t drive in the parking lane. Two hours under a tree at midnight. Birds are the enemy. They sit on their perch looking for clean cars and then once they observe the owner walking away it’s time to make it rain (not in a good way). Pray to your favorite deity that you didn’t park near a Tex-Mex restaurant because your car would be covered in red and black splotches instead of white. It doesn’t matter the time of day, these birds will poop on your car. I parked in downtown Austin for two hours between 10:00 PM and midnight on a freezing Friday night. It had to have been around 40 degree Fahrenheit. You’d think that given the weather and time of day that these birds would probably rather be in Florida or sleeping, but nope! They’re just as alive as Sixth Street on a Friday night! 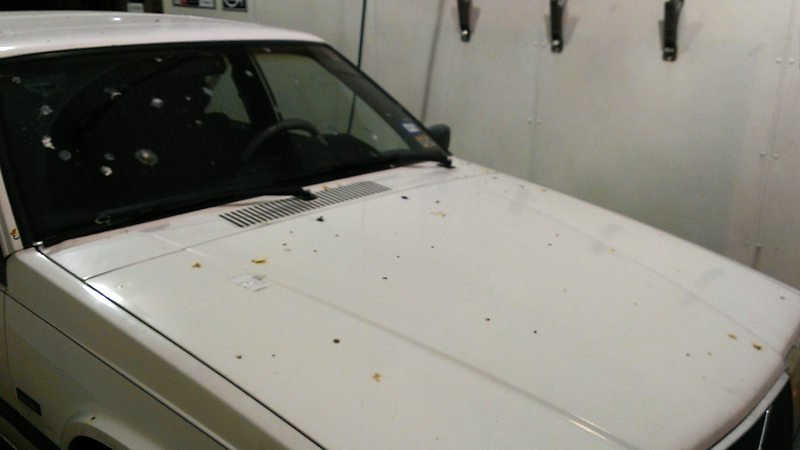 I come back with my car covered with bird poop. Oh how I wish I had a gun so I could shoot these birds, but given my aim, people should be thankful I don’t own a gun. This called for an emergency car wash! I have not had to do an emergency car wash in the middle of the night in years. Thank goodness for 24-hour DIY car washes! Popped some quarters in and some brushing and rinsing later, it’s good as new! I swear birds are just waiting to poop on cars. Especially at Wal-Mart. I saw a poor Chevy Lumina covered with birds and bird poop. The driver had parked away from the store in the area where nice cars park (you know, towards the end of the parking isle). It was the only car parked within a 100 foot radius. It was like an island of birds and poop within 20 feet of the car. Yeah, they know they’ve struck satisfaction against the man. I’m sure they don’t just have a hatred against Chevy Luminas like man. The birds don’t discriminate against make. They’re just dicks. Damn, I hate birds. The video shows the future: cars that drop you off at the front door and parks itself. What a wonderful fantasy, right? In the real world, this would probably never happen unless the garage did not allow humans to enter and it was specially designed for self-parking cars. There’s too many liabilities to make this a reality, just like how flying cars will never happen. I heard on the radio that the city is adding more reverse angle parking. I don’t think I’ve seen this before, but the idea seems good. Too bad people can’t seem too park normally in the first place so trying to park backwards will be quite the sight. I’m waiting until somebody backs into a car with their truck or SUV.